Otherwise a very convenient location for airport bus, walking to castle, and trains to Glasgow. 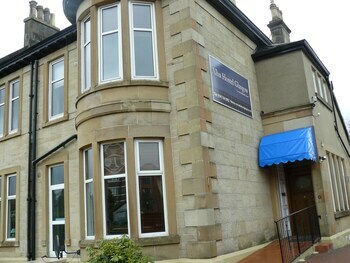 Great place to stay, very convenient, would most definitely stay here again when next in Glasgow. 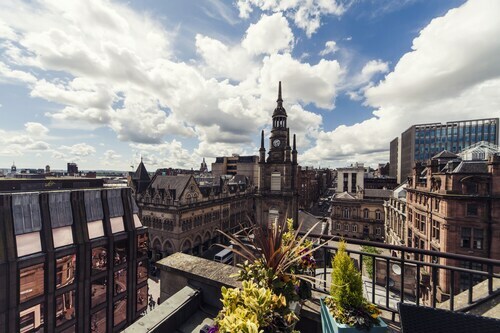 The restaurant as well as having excellent food has amazing views over the rooftops of Glasgow. 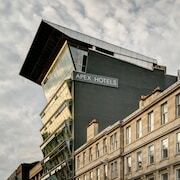 I very much enjoyed staying at the Apex City of Glasgow Hotel which is a relatively new establishment in a largely heritage precinct. Bus for Glasgow and Dumfries 1 minute walk - 12.50 pounds express return. It gave us a very positive memory of Glasgow, which in itself is a hidden treasure. 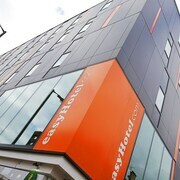 Nice clean room with helpful friendly staff,small rooms but to be expected for the very low price in the city centre. Fantastic location. 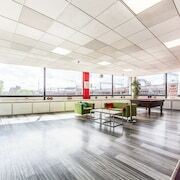 Good size rooms, very clean and a good location. Only downside is the lack of soundproofing between the door and the hallway. 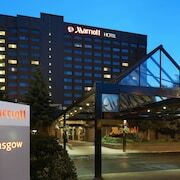 Which hotels are closest to the Glasgow airport? Can you find accommodation in popular areas of Glasgow? Where to stay near top Glasgow attractions? What kind of hotels are in Glasgow? 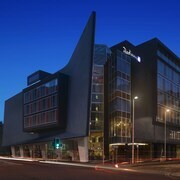 Which hotel chains are in Glasgow? Travelers to Glasgow give high marks for the fascinating museums, popular theater scene, and renowned art. Tourists who journey to this welcoming city can discover its shopping, live music, and bars. Top sights in the city include George Square, Gallery of Modern Art, and Glasgow Cathedral. Known for its museums, theaters, and art, the city's cultural venues include Gallery of Modern Art, The SSE Hydro, and Glasgow Science Centre. Notable city landmarks like George Square and Glasgow Cathedral might be worth a visit. Shopping is one of the favorite things to do, so consider an excursion to Buchanan Street, Princes Square, and Buchanan Galleries. 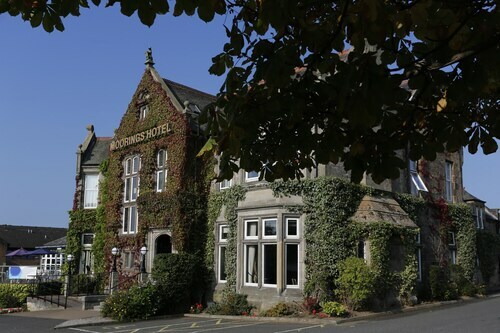 Crossbasket Castle - This 4.5-star hotel features a restaurant, free WiFi, and free valet parking. It's a favorite with Expedia travelers for its helpful staff. Alamo Guest House - Our customers like the convenient parking and central location at this guesthouse. Guests who stay at this 4-star guesthouse in Glasgow Westend can enjoy access to free breakfast and 4 outdoor tennis courts, along with free WiFi. 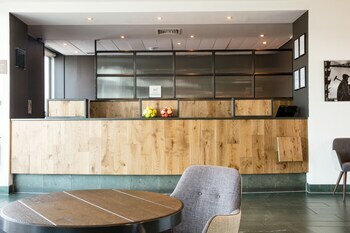 Dakota Deluxe Glasgow - Guests who stay at this 4-star hotel in City Centre Glasgow can enjoy access to a restaurant and a bar, along with free WiFi. Expedia customers like its dining options and breakfast. Other favorite sights in Glasgow include Clyde Auditorium, Scottish Exhibition and Conference Centre, and Kelvingrove Art Gallery and Museum. Outside the city, popular places to visit include Paisley Abbey, located 6.7 mi (10.7 from the city center, and Benmore Botanic Garden, which is 30.5 mi (49 away. With so many transportation options, seeing Glasgow is a breeze. Walk to nearby metro stations like Buchanan Street Station, St Enoch Station, and Cowcaddens Station. If you want to journey outside of the area, ride aboard a train from Glasgow Queen Street Station, Glasgow Argyle Street Station, or Glasgow Central Station. 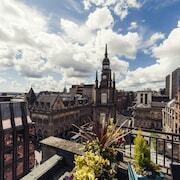 Glasgow City is a family-friendly neighbourhood that's popular for its restaurants and bars. In addition to its friendly people, the neighbourhood has many charming qualities. You can satisfy your cultural palate with art and theatre. 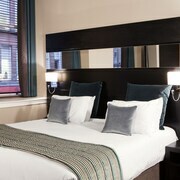 Choose one of Glasgow City's hotels and explore the area around Bargeddie with ease. The local museums and theatres add a sense of refinement. Study the collections at Glasgow Police Museum, People's Palace and Winter Gardens, or Gallery of Modern Art. 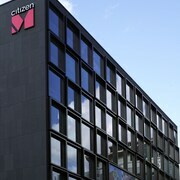 You can attend a show at Citizens Theatre, The Arches, and Arches Theatre. Some landmarks that can't be missed include Doulton Fountain, Sharmanka Kinetic Gallery & Theatre, and Hutchesons' Hall. Xscape Braehead, M&Ds Theme Park, and SEA LIFE Loch Lomond Aquarium will provide enjoyment for the whole family. 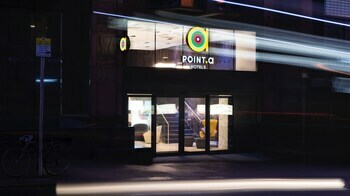 Many visitors like to do some shopping while in town, but there are a number of other activities. Glasgow Green, Glasgow West End, and Queen's Park are some scenic spots that are popular with the locals. For retail therapy, consider St. Enoch Centre, Argyll Arcade, and Princes Square, and seek out the perfect souvenir. If you're looking for something else to do, head to Buchanan Street, Buchanan Galleries, and The SSE Hydro. A few of the most popular sights in the area include George Square, Glasgow Cathedral, and Celtic Park. 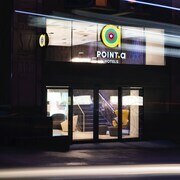 You can also visit Italian Centre, Lighthouse, and Collins Gallery. If you want to get around the city, Bridge Street Station is the closest metro stop. Others nearby include West Street Station and St Enoch Station. To see the sights outside of town, hop aboard a train. Glasgow Argyle Street Station is the closet train station, but Glasgow High Street Station and Glasgow Central Station are also nearby. The Glasgow (GLA-Glasgow Intl.) airport is 11.7 km (7.3 miles) from Glasgow City. Glasgow (PIK-Prestwick) is the next closest airport, 44 km (27.4 miles) away. 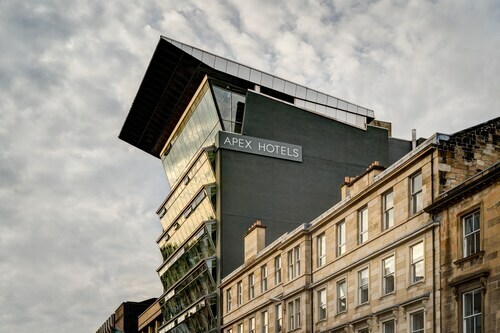 What are the most popular hotels in Glasgow? 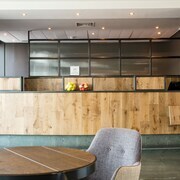 Are there hotels in cities near Glasgow? 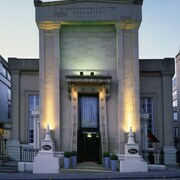 Explore Glasgow with Expedia.com.au’s Travel Guides to find the best flights, cars, holiday packages and more!